I was born in Northamptonshire and trained as a classical ballet dancer. My education in the field of anatomy and dance took me to the prestigious Royal Academy of Dance in Battersea, London. In 1998, I graduated with a first class BA (Hons) in the Art and Teaching of Ballet from Durham University. I also achieved my Advanced ballet and the Jerwood prize for outstanding student. Pilates was an integral part of ballet training and I was fortunate to be taught in London by Alan Herdman, a leading figure in the Pilates world and responsible for bringing Pilates to the UK in 1970. While dancing and teaching ballet in London, I became very interested in the methods available for the prevention and treatment of injuries; as well as corrective exercise. I obtained Alan Herdman’s certificate – 'Body Conditioning and Remedial Exercise Teacher' in 2001, and initially taught for Alan in his sister studio at The Chelsea Harbour Club, London. I continued to work with dancers and was the Pilates Instructor at the Royal Academy of Dance, where I joined the team of staff to educate future classical ballet teachers. Between 2002 and 2005 I taught at various ballet schools worldwide, educating boys and girls between the ages of 8 and 16 years in the Classical Pilates Method. In 2005, I began to branch out and freelance which enabled me to teach a broad spectrum of clients from elite athletes, celebrities, models and the general public. Today, I am the mother of three boys and have settled with my family in Wimbledon. My Pilates journey has brought me to the point of opening of my own private studio in South West London. It has been a life long ambition to provide a centre of excellence in the Classical Pilates Method. I have a desire to constantly educate myself in the field, drawing on inspiration from my teachers while bringing over 20 years of study and practice to my classes. In its purest sense Pilates supports the body to regain mobility, strength and alignment. The concentration needed to generate a precision in the flow of the movements contributes to a mental and physical well being. On a basic level Pilates will improve posture which alone breathes new life into your body. Alan Herdman was responsible for bringing the Pilates method to Europe over 30 years ago, after studying in New York under a direct disciple of Joseph Pilates. To create an intimate environment to allow people to free themselves of poor mobility, low self esteem and pain. As I firmly believe that “Physical fitness is the first requisite of happiness” — Joseph Pilates, 1939. Exercises are performed with and without specialist equipment, using resistance to streamline and strengthen the body. Each session lasts for one hour. All the classes are tailored to fit individual needs and requirements, making the Pilates Method safe to follow throughout pregnancy as well as post-natal. It is not only endorsed by the Hollywood elite, but also by physiotherapists and orthopaedic surgeons worldwide. The equipment supports the body and allows the muscles and levers to work in a different relationship with gravity. This allows the body to go through a range of movement otherwise inaccessible promoting a better balance of strength and mobility as a whole. The equipment will also give feedback to the body which can highlight asymmetries and imbalances. A private session works on these individual needs and focuses on issues that arise during the process resulting in a true awareness of your body’s needs. If you are a Pilates practitioner and are looking for the perfect space, The Studio is available for private hire. Please contact Sarah for further information and details. The Studio has been up and running for four years at its current location, with the edition of mat work classes added to the timetable. As 2018 begins, I am ready to open the doors and welcome a wonderful new instructor, Liezel Kooyman to the team. Liezel joins me with a wealth of experience and knowledge. Liezel will be heading up the evening and weekend classes which will include 'Gentleman’s Mat Work' twice a week; as well as taking the lead during the day on a Wednesday. She is an absolute joy to have around and delivers the same very personal and holistic classes which Sarah McKenna Pilates prides itself on. Hello! I am really looking forward to joining the team and welcoming you to The Studio. I relocated to the UK from South Africa in 2006. Pilates was a source of healing for me after a spinal injury but I soon realised the other benefits: that it strengthens and aims for overall balance of the body. So after working in finance for 13 years I decided to make a career change to follow my passion for teaching Pilates and movement. Initially I trained and qualified as a Pilates mat work teacher with Body Control Pilates in 2010. Then in 2014 I completed my training with Body Arts and Science Institute (BASI) enabling me to teach the full range of Pilates equipment. I believe in a dynamic and holistic approach when teaching while still relaxing the mind, thus releasing tension and stress in the body, which is essential to bring about constructive healing and change in the body. I am also a certified MuTu Pro which enables me to teach and support clients with the MuTu System. The exercises are specifically designed for postpartum recovery for ‘mummy tummies’, and therefore, vital for rebuilding your core. To make a booking please call me on 07970 213421. During classes, calls will be diverted to my voicemail. All messages will be acted on as soon as I am available. If a matwork class is missed, you may be offered an alternative class on a different day of the same week, subject to availability. There is no transferal of matwork classes from term to term. Cancellations within 24 hours of scheduled session will be charged in full. Cancellations more than 24 hours prior to scheduled session will receive full credit towards a future session. "I started taking part in Sarah's 'Beginner Mat-work' classes over a year ago with the aim of strengthening my core, to reduce my back pain. Sarah has nurtured me from the beginning making sure I have the correct technique before progressing onto new positions. I have gained strength and progressed to her Intermediate class. I love my Friday mat-work fix, have no back pain and feel with Sarah's help I am looking after myself from the inside out." "I had never done Pilates until 3 years ago. From day one I was hooked. I suffered from back pain that I thought I would have to live with even after months of physio. It's completely gone thanks to Sarah and her classes. She is professional, extremely knowledgeable and just lovely. I will never stop coming!" 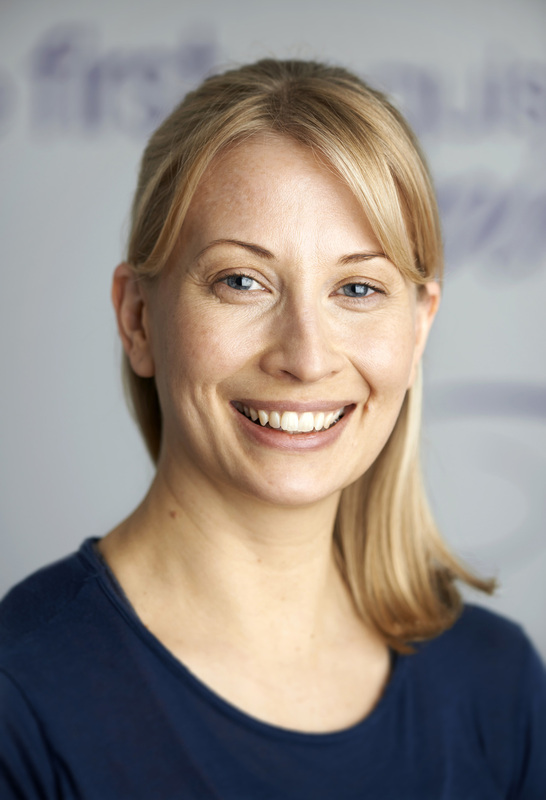 "Sarah is an excellent instructor with a very professional and caring attitude towards the teaching of breathing technique and exercise routine of Pilates. I cannot recommend Sarah enough and I will continue to use her."